Highlands real estate listing alert, 1240 Claire Lane is a lovely home for sale offering great value and excellent features. 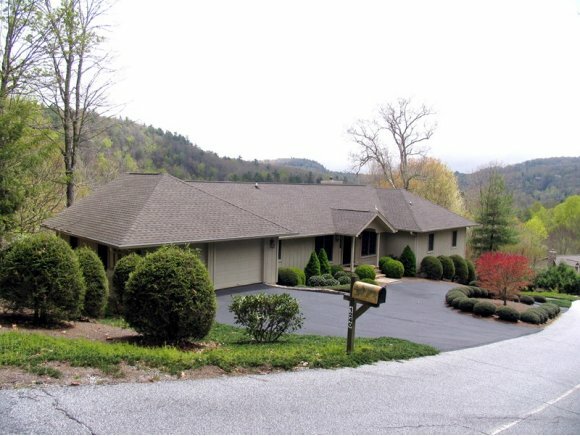 This lovely home is situated on a lot that is almost an acre in size, offering privacy, access to the National Forest, great mountain views and so much more. If you have been looking for a Highlands property that has a lot to offer in an affordable price range this home is a must-see! 1240 Claire Lane in Highlands NC is in excellent condition. Wood floors, a cathedral ceiling in the main living area, a lower level family room, and a covered screened deck are but a few of the highlights of this home. Offered at $527,000 a home of this value with all that it has to offer is tough to find elsewhere. Contact me, Lynn Kimball, today to schedule a showing of this home or any other Highlands real estate currently listed for sale. I can help you complete a successful home search and enable you to call Highlands North Carolina your home or second home!